People ask us what our favorite fish to pursue is. 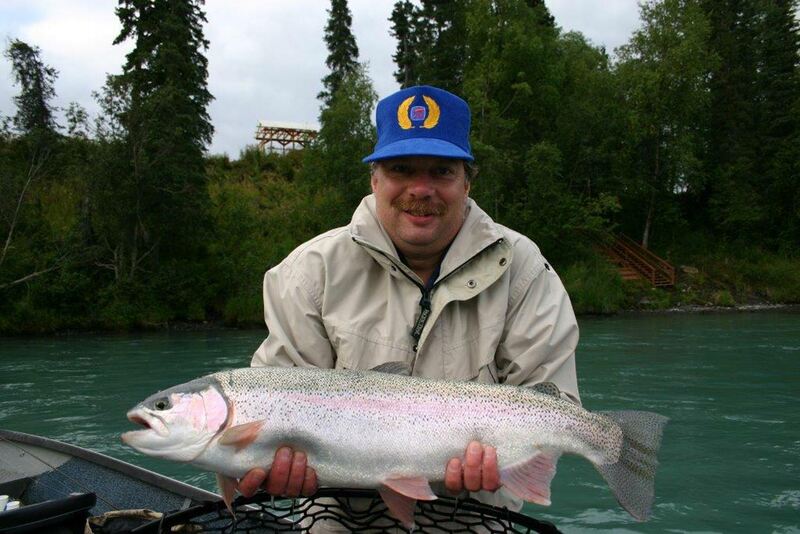 Our Kenai River rainbow trout fishing guides would all agree hands down it has to be fishing for Trophy Kenai River rainbow trout. Our Kenai River rainbow charters are unsurpassed in the numbers of fish and monster proportions. 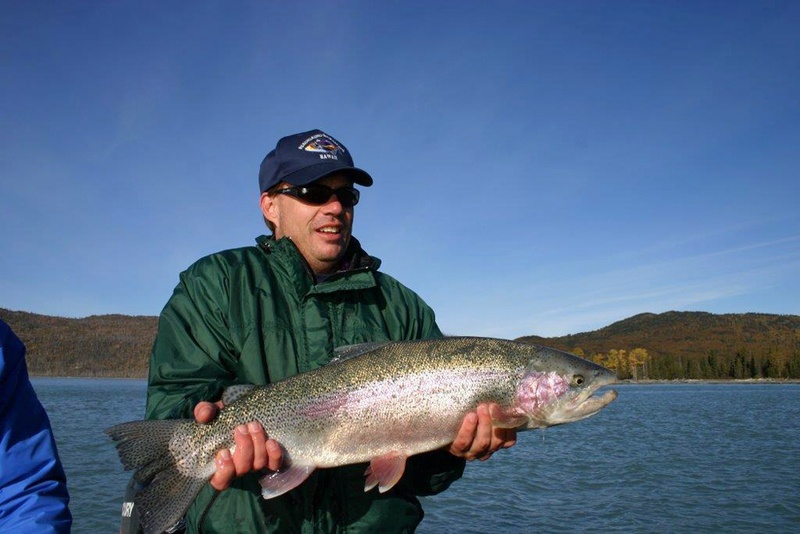 The glacial waters of the Kenai River are home to beautiful native Rainbow Trout; some of the prettiest colored trout you will ever see! 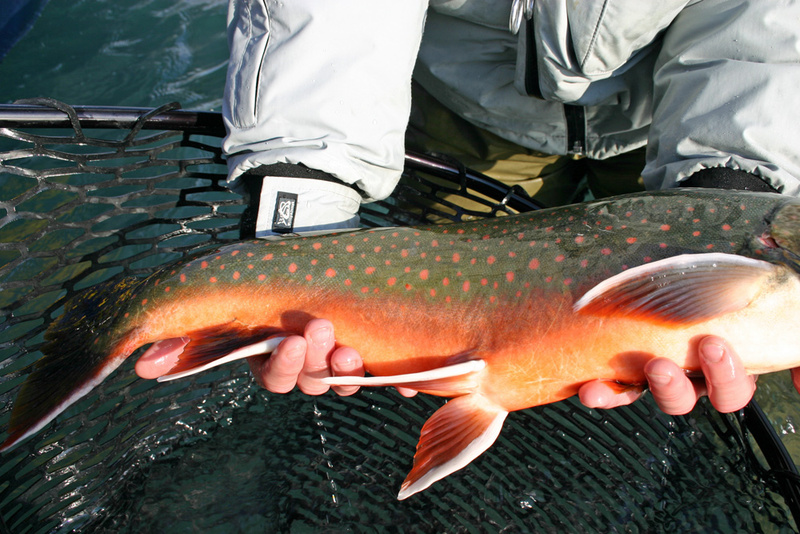 In the fall months it’s not uncommon to catch 100 trout in a day on our guided trout trips. 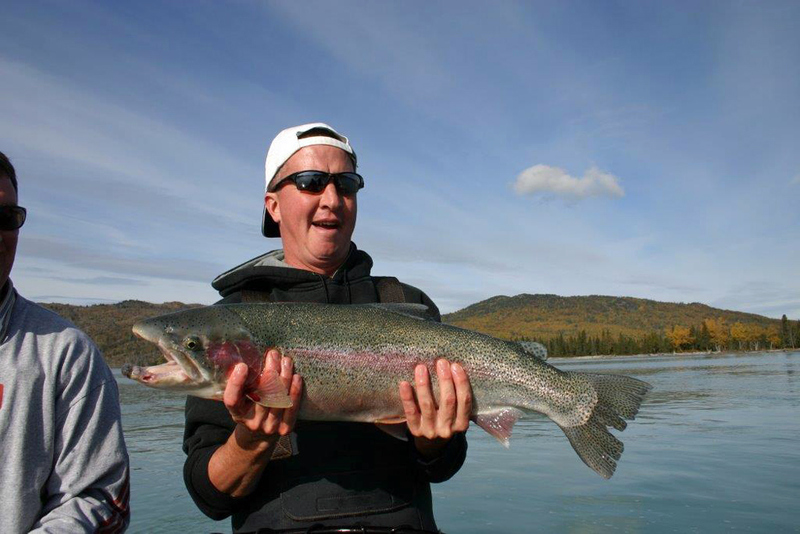 Book your fishing and lodging package today to get on these monster trout. 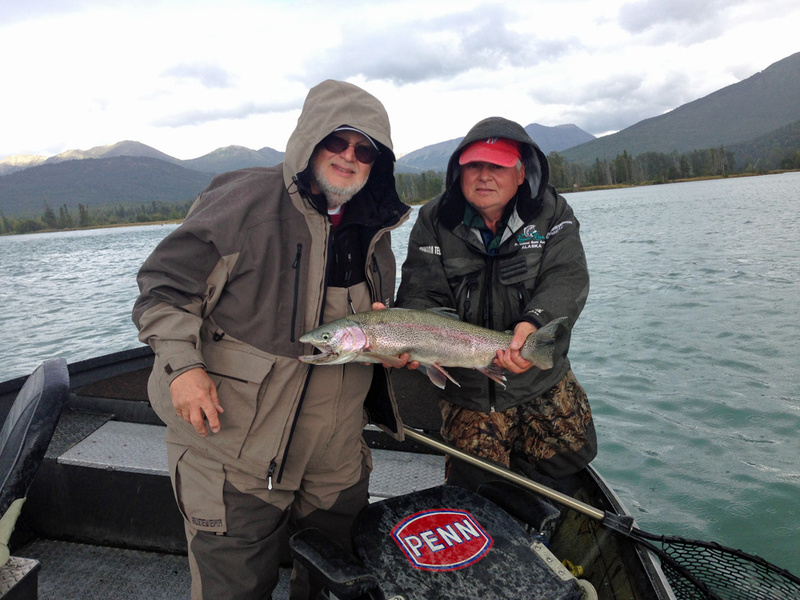 We started fishing the Kenai River long before fish and game started regulating the rainbows and dollies for catch and release. 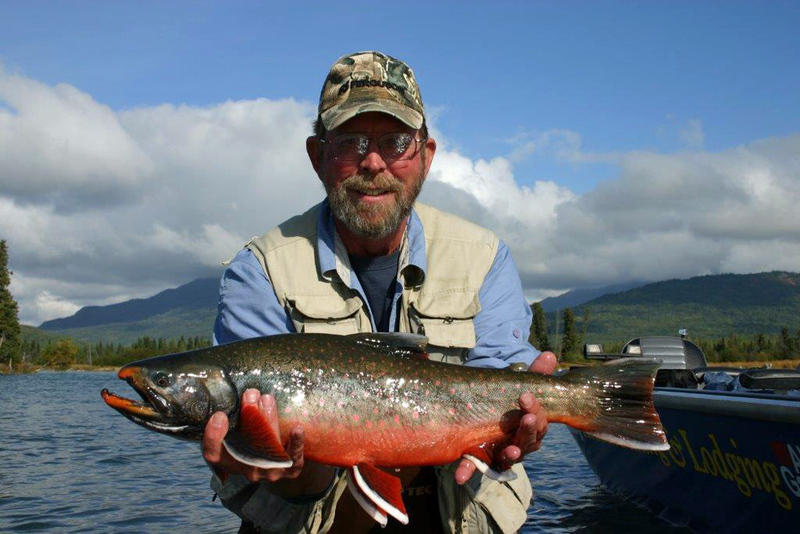 Back then fishermen could use bait and keep any size rainbow or dolly varden, so if you caught and released one a year over thirty inches, you were doing good. 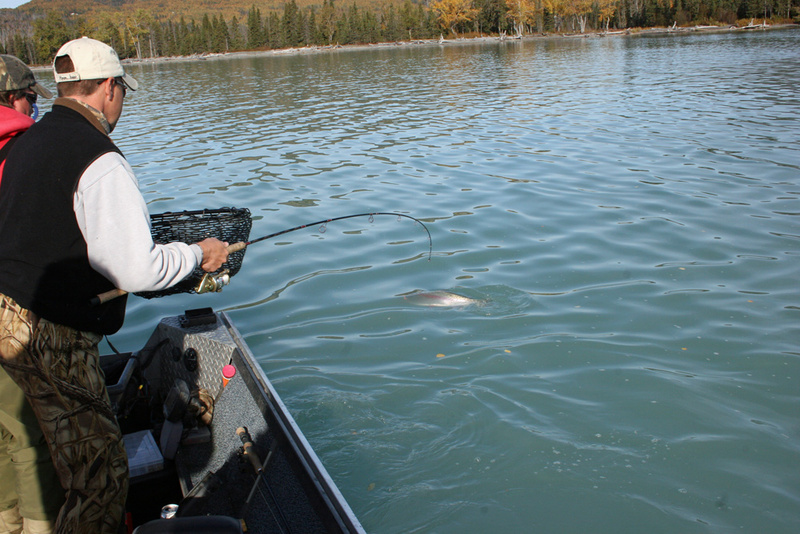 Once Fish & Game passed a new regulation, making it 16 inches and up catch and release from Skilak Lake up the Kenai River to Kenai Lake, and catch and release 18 inches and over from Cook Inlet to lower drainage of Skilak Lake. 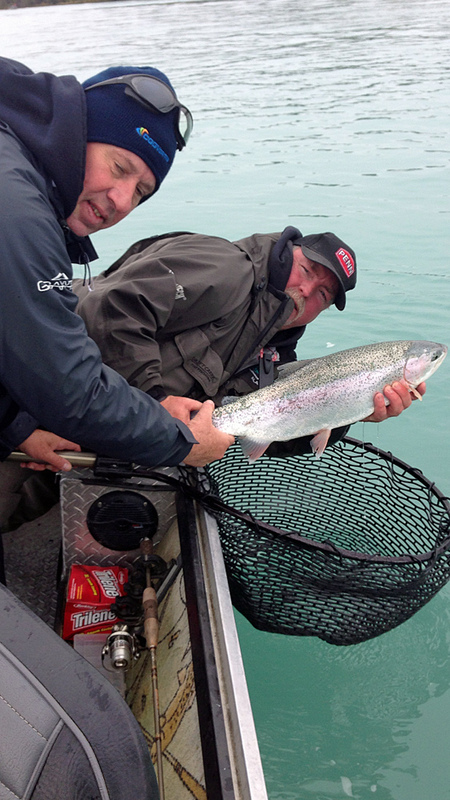 Within a short time we were starting to catch more and more 30 inch rainbows. 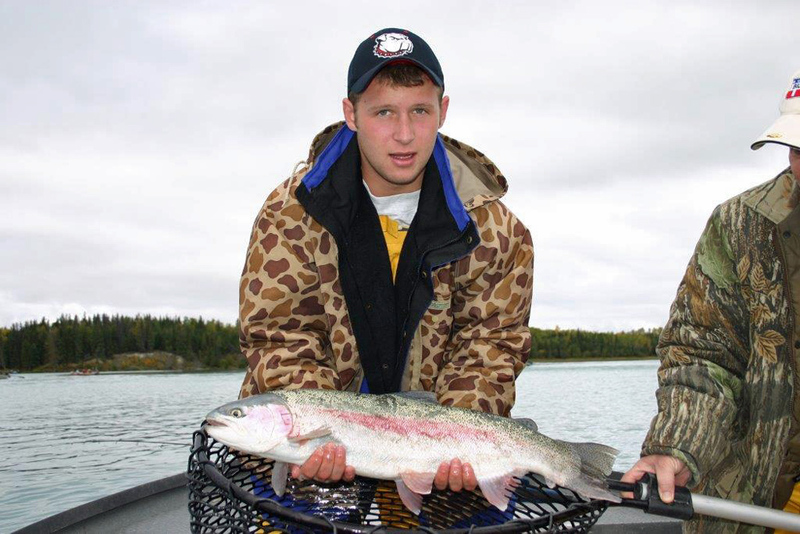 I remember one season was so awesome that my boat released 16 rainbow trout over 30 inches. 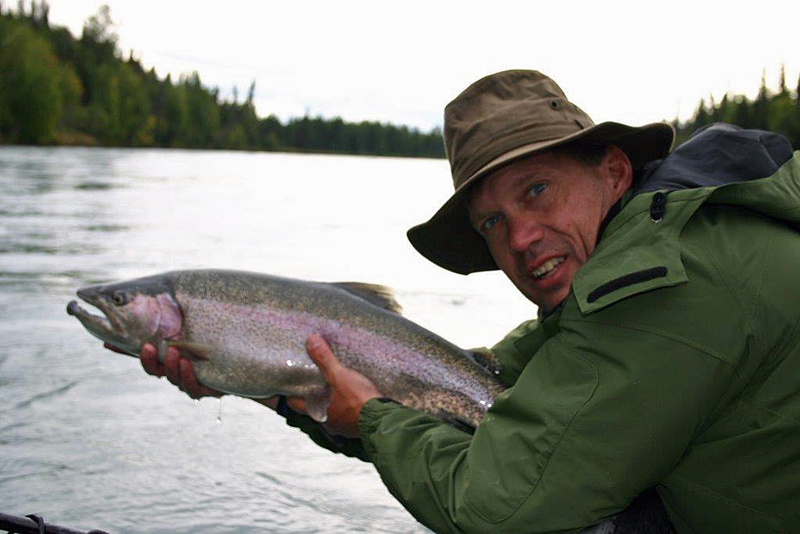 All of our Kenai River rainbow trout fishing guides work very hard to take care of these amazing trout and release them unharmed. 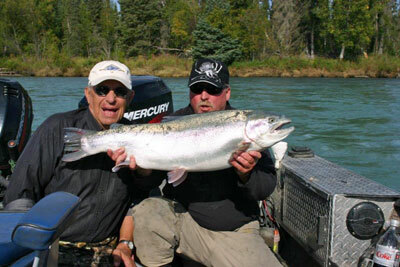 Now the whole Kenai River system is all the same catch and release of rainbows and dollies 16 inches and up. 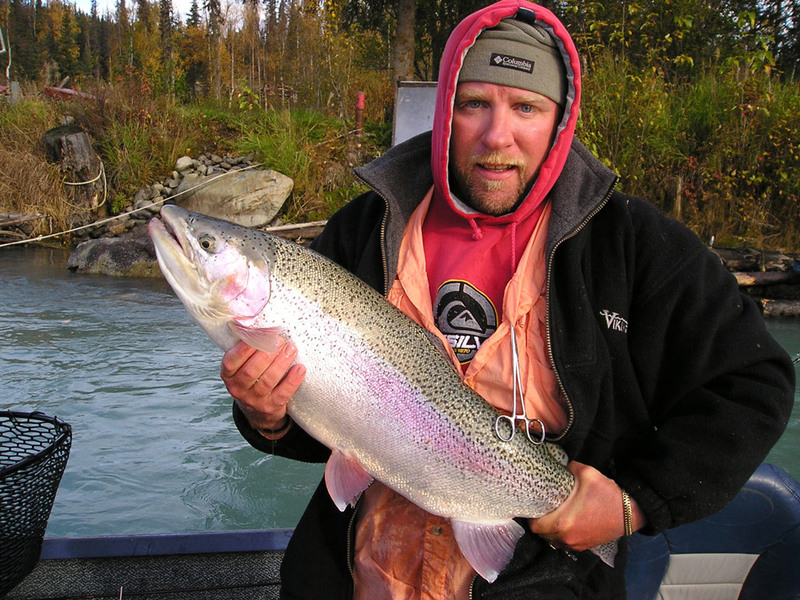 Once the food source on the lower river starts to slow down, the big rainbows will start migrating up the Kenai; usually around the 20th of Aug. If you know when the large rainbows are heading up the Kenai and know where the interception points are, you can catch a good number of large rainbows within a couple miles of one another. 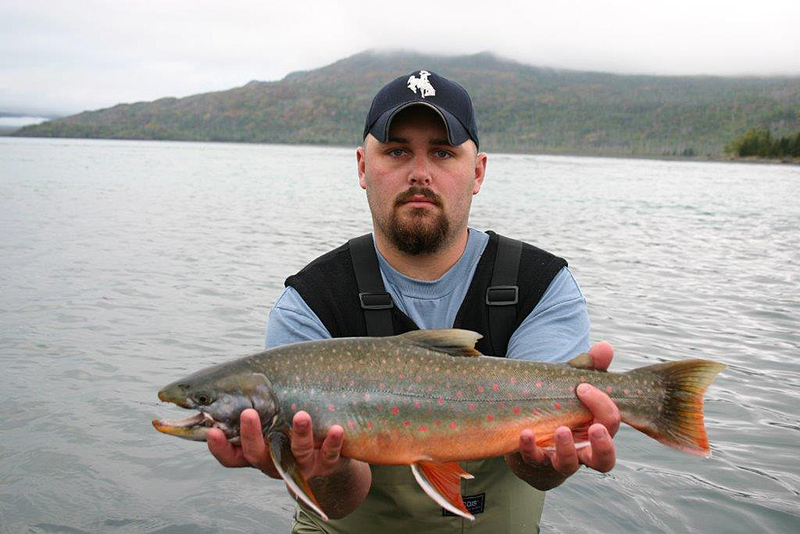 Both rainbow trout and dolly varden seasons open June 11th on all of the Kenai Peninsula streams. 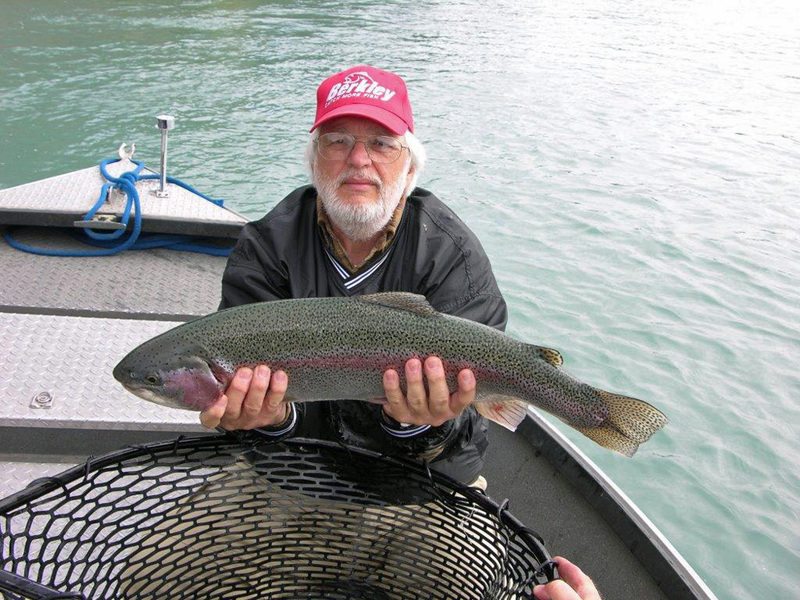 At this time of the year the rainbow fishing is decent, but if you are looking for the best trout fishing you’ll ever see, you need book a trip in September and October! 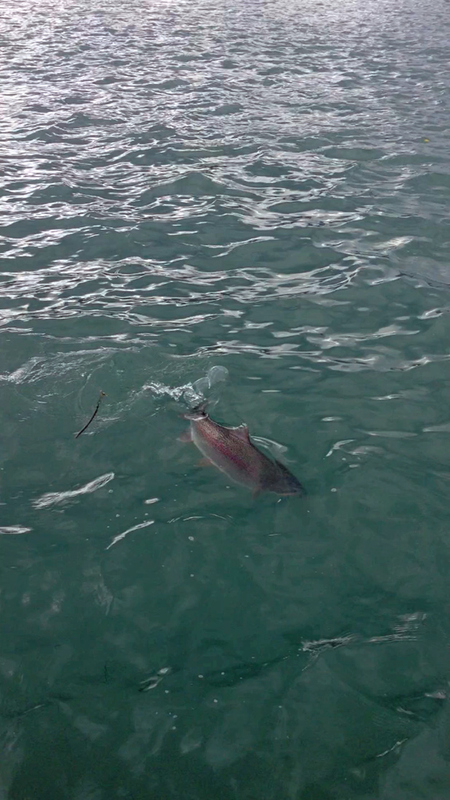 Have you ever hooked into a rainbow that jumps three feet in the air? 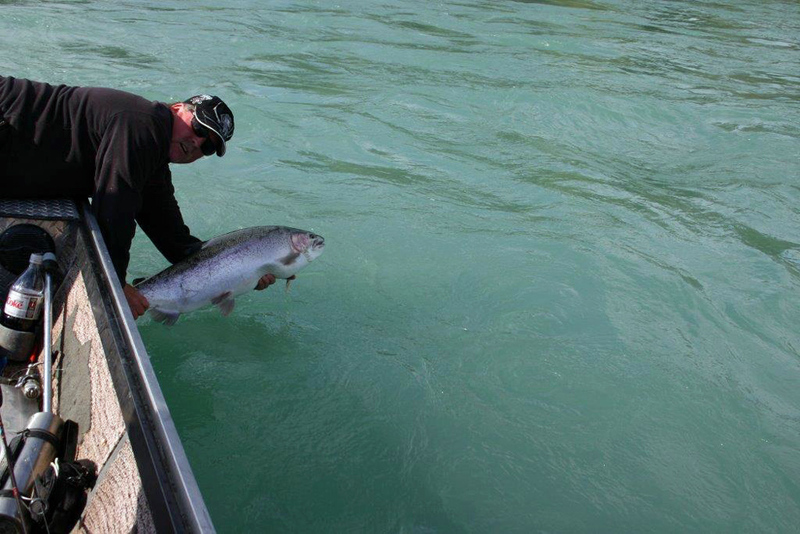 Have you caught one that jumps out of the water so fast you can’t count how many times it jumps? 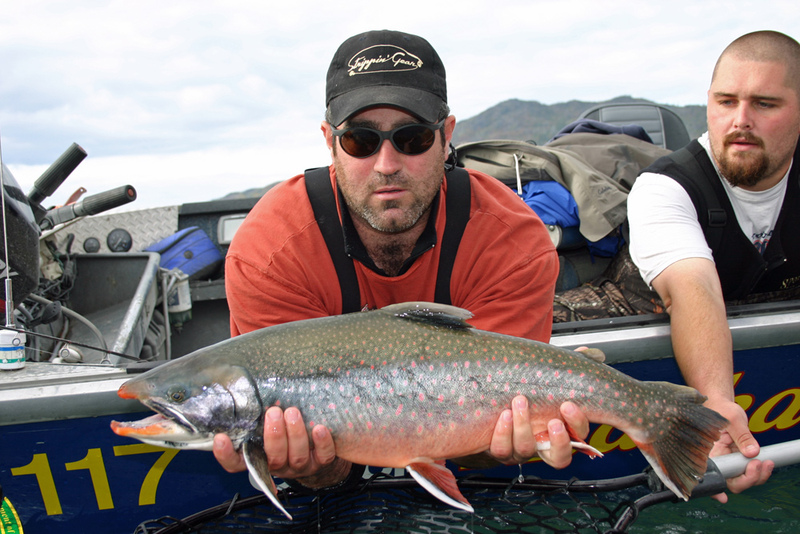 How about doing that on a 6-7 wt fly rod? 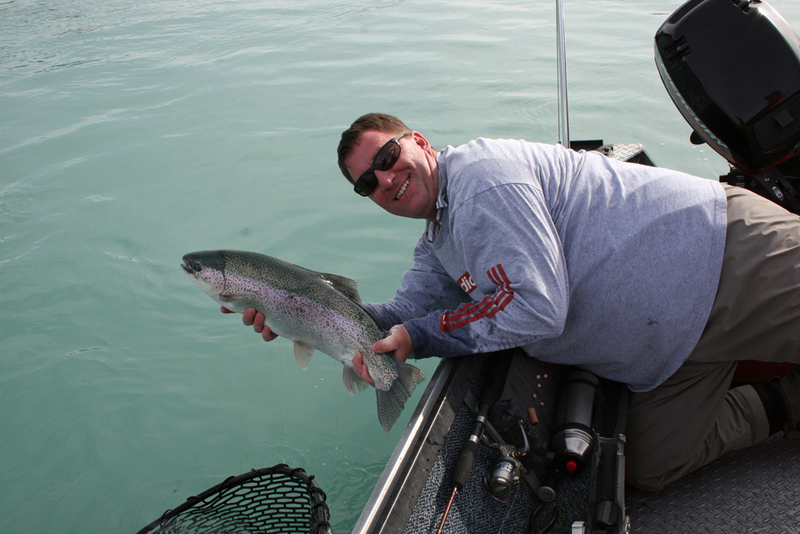 For the guests that have no intension on using a fly rod, we use the next best thing: rods that are 6 wt fly rods made into a light weight spinning outfit. 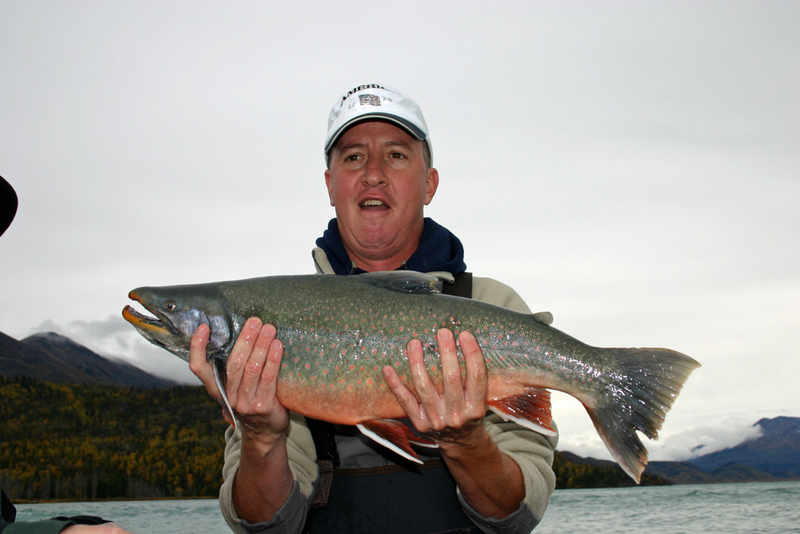 I have heard many times a trophy is in the eyes of the beholder. 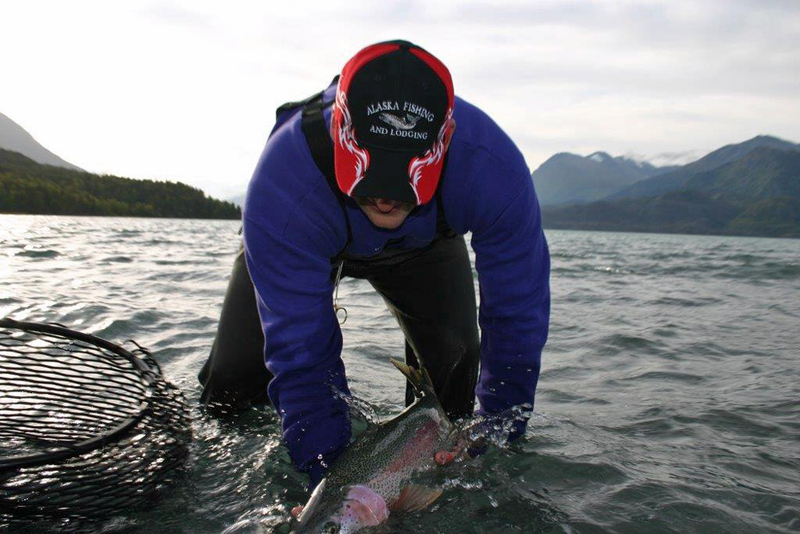 Now I run my business by that saying. 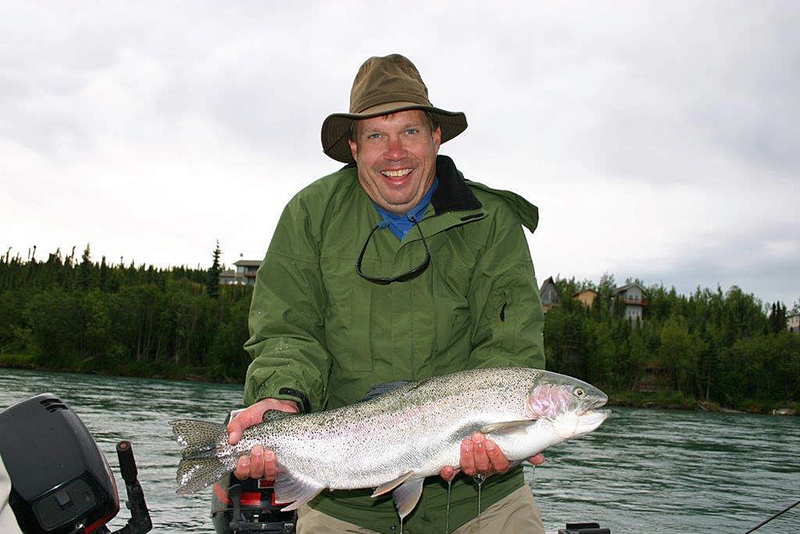 I have found a trophy could be the guest’s first fish to surpass the 18” rainbow that took their whole life-time to catch in their home town. 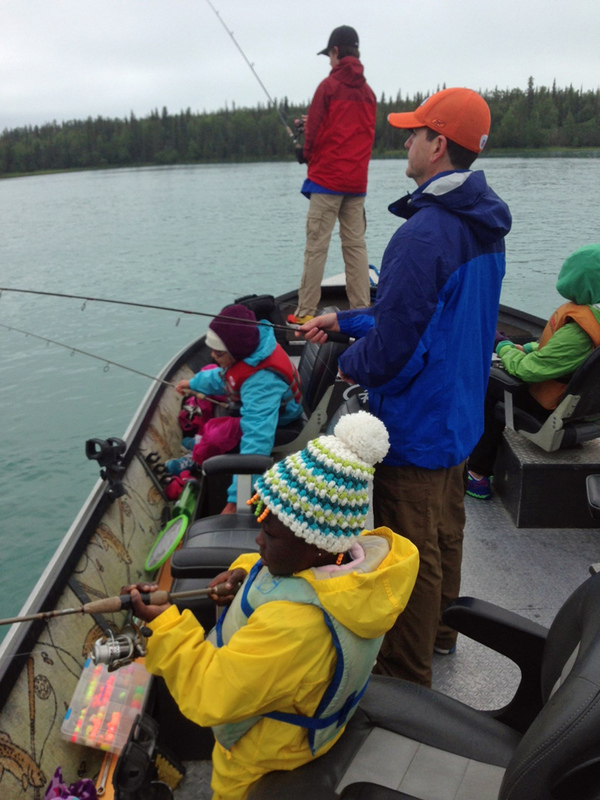 Now, no matter if it’s a family or a group, I want to know what you are wanting out of your fishing trip: catching a lot of fish, or a certain size “trophy” fish. 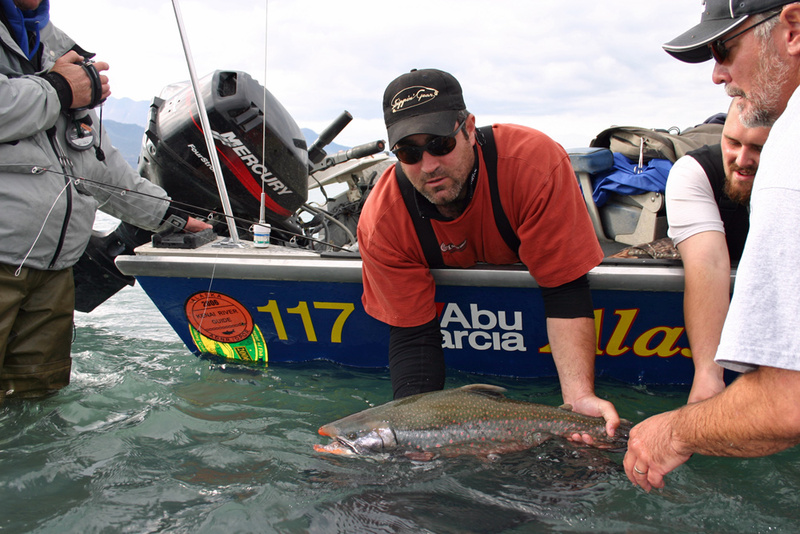 Now, how about combining that with a 7 night package? 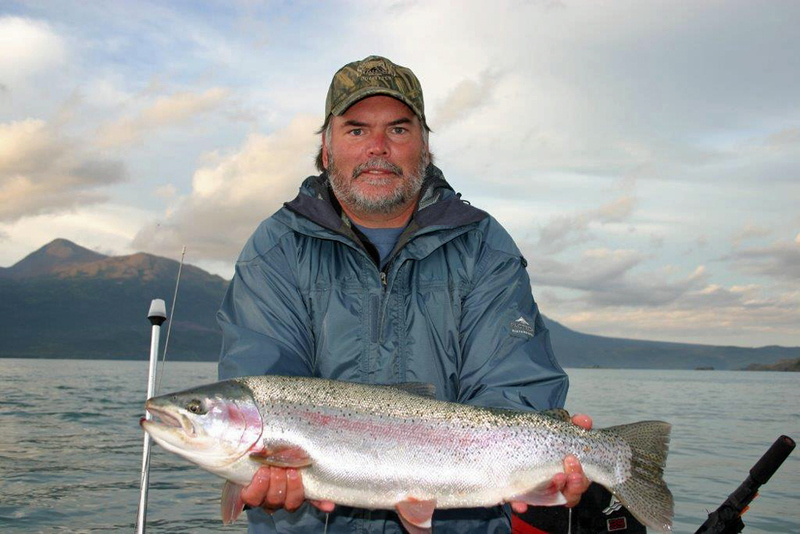 You could include fulfilling your dream to build your own fly rod, tie your own flies, and then go out and catch a trophy size rainbow all with what you built yourself! 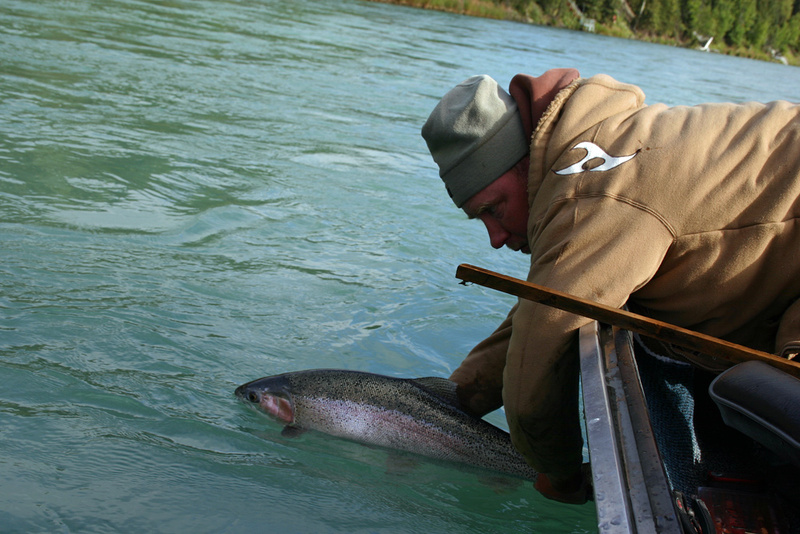 You must book this package before May first to make sure to have all the supplies needed. 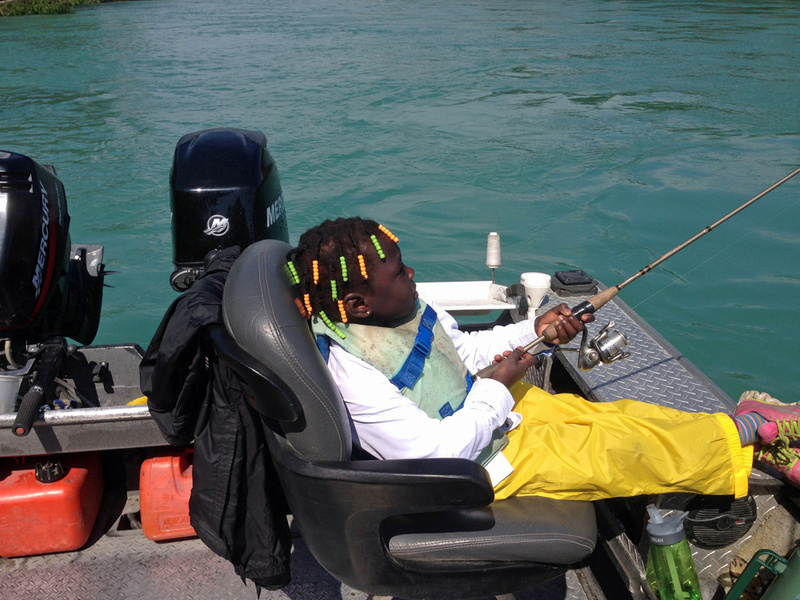 Look at the build your own rod page to get started. 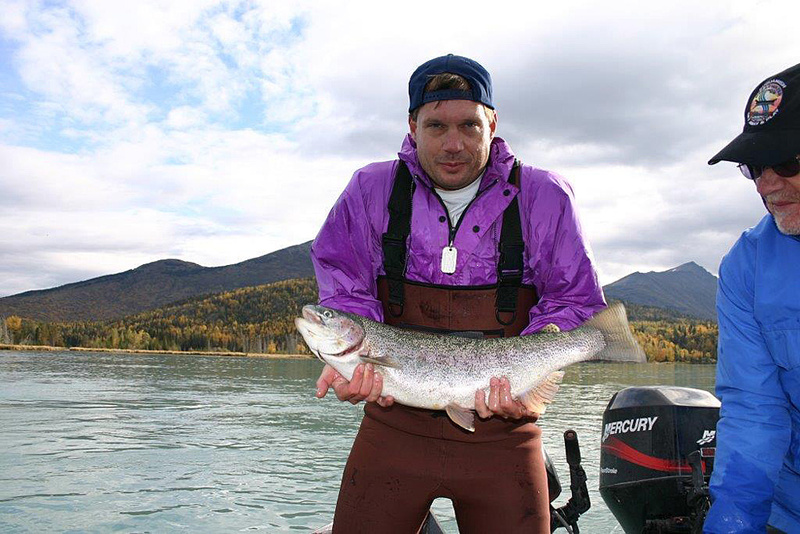 If you would like to spend a day with one of our Kenai River rainbow trout fishing guides, see wildlife, and experience the action of catching and releasing rainbows and dollies, then pick up the phone and let’s start planning your great Alaskan Fishing Vacation. 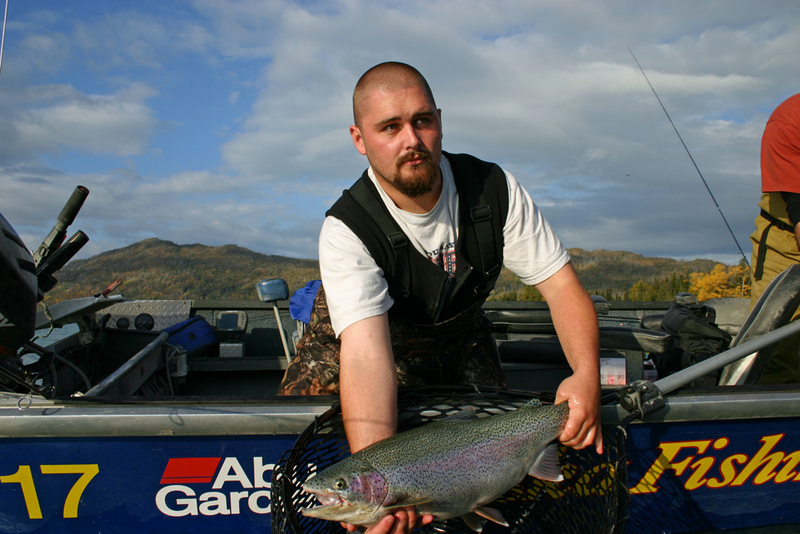 Call today and lets talk Alaska rainbow trout fishing!